We have set this model up as a Dual Tariff meter, configured for the most popular dual tariff, Economy 7. The auto-scroll shows Energy (kWh) consumed on Tariff 1, Tariff 2, as well as total Energy consumed on both tariffs. The manual scroll allows you to view the date and time, and you’ll never need to worry about the clocks going forward or back, as the time on this meter will change automatically. To amend the times for each tariff, simply select the Basic Pre-programming optional extra below, and enter the times required in the text box below. 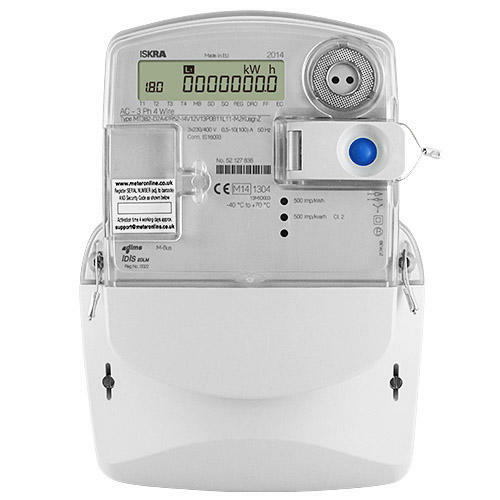 A number of other parameters can be pre-programmed on to the meter prior to dispatch. Simply select the Advanced Pre-programming optional extra, and enter your requirements in the text box upon ordering. For a full list of available measured parameters, view the Product Specification tab right.